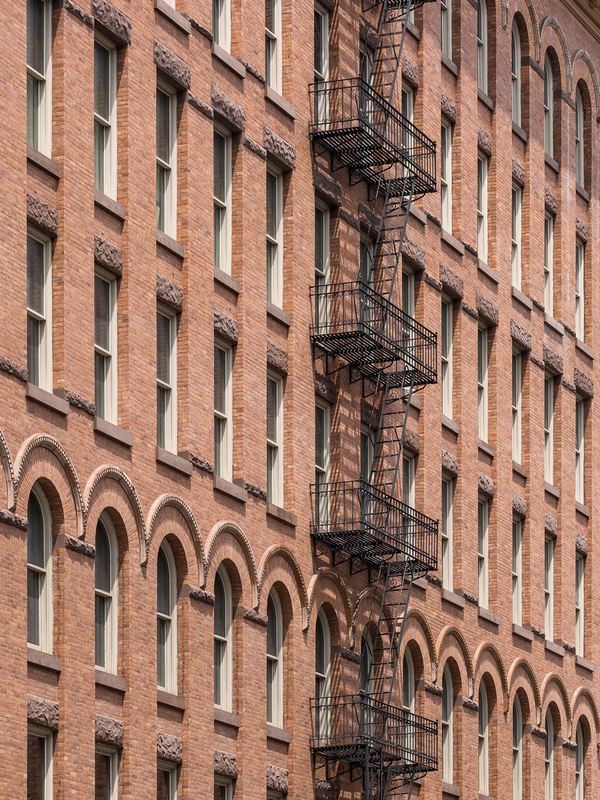 Post–World War II deindustrialization may have cleared out Soho’s manufacturing tenants, but despite a thoroughly-documented influx of artists, many buildings still fell into disrepair. 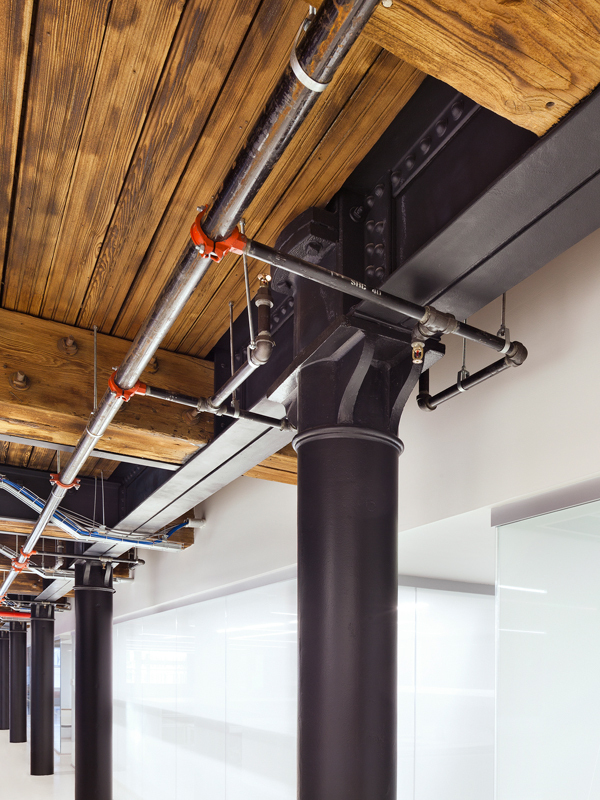 This past summer, a trio of New York firms took on the monumental task of top-to-bottom renovating one structure on a prime corner top-to-bottom. 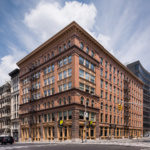 The seven-story, Renaissance Revival–style Knickerbocker Telephone Co., designed and built in 1894 by architect John T. Williams, is within the bounds of the SoHo Cast Iron Historic District Extension, a surviving slice of a once-bustling commercial district that hosted textile producers and dry goods warehouses. On the outside, New York–based Scott Henson Architect recast the cast-iron decorative elements on the facade, installed historically accurate wood window frames, and added new steps to the entryway, while also New York–based Stephen B. Jacobs Group Architects recreated the storefront bays in their original arrangement. 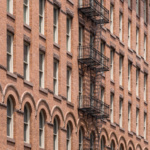 Deterioration prompted the architects to streamline the ornate structure slightly: To match the rusticated facade, brownstone sills and lintels were cut back and replaced. 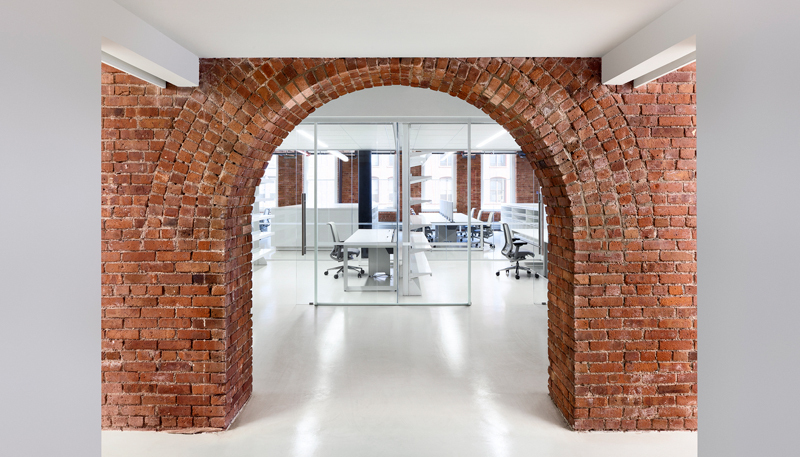 The top floor of the north side of the Lafayette Street facade was completely reconstructed with an arched brick, original window replica. 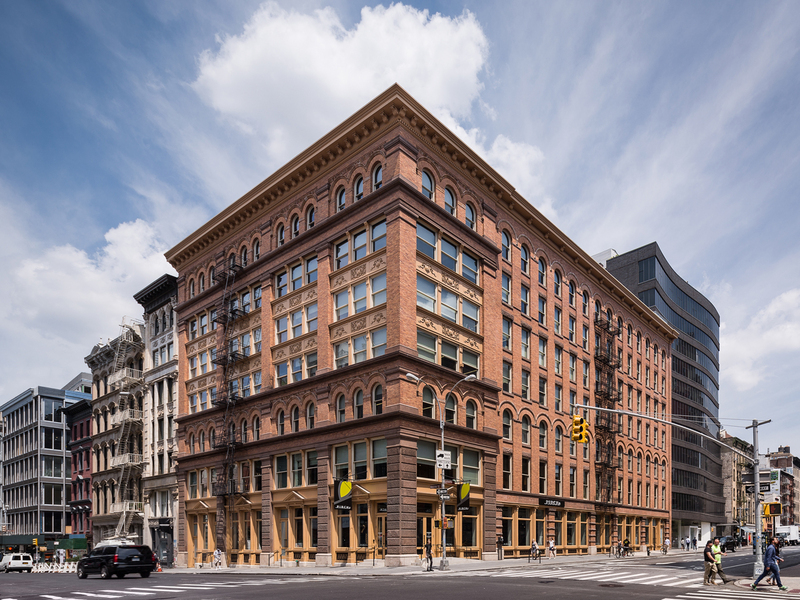 The architects collaborated with preservation consultants Higgins Quasebarth & Partners on the detailing, and the firm’s paint analysis prompted the designers to coat the windows, cast iron detailing, and sheet metal cornice in a historically accurate dark yellow color. While preservation law dictates that the exterior be done in a historic style, the design team, led by Stephen B. Jacobs Group, gave the 105,000-square-foot interior a contemporary upgrade. Clothing retailer J.C. Penney shares “loft-like” space with Pirch, the appliance distributor. 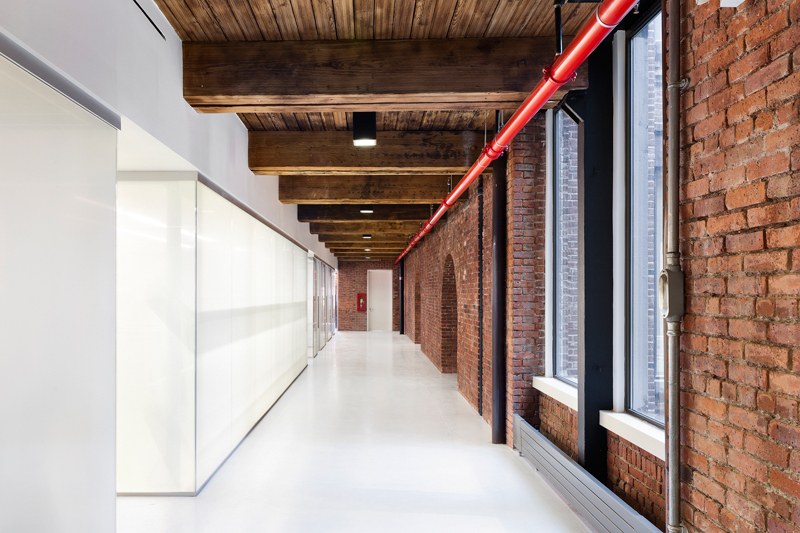 Cast-iron columns and timber beams frame “loft-like” spaces with glassed-in offices with polished concrete floors, while a first-floor skylight floods the ground-floor appliance showroom with light. 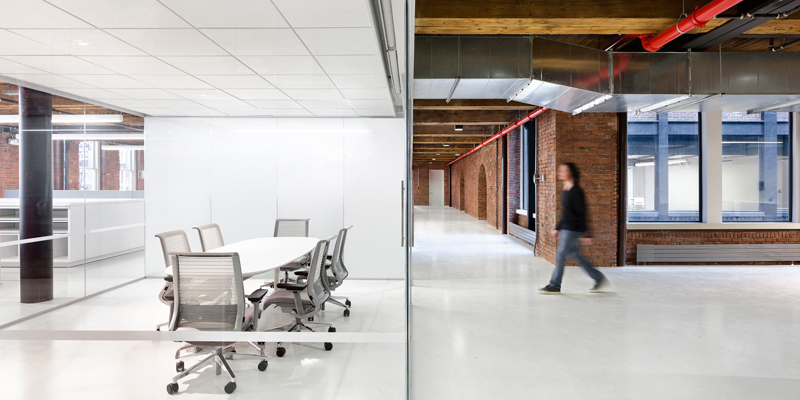 Eight Inc. collaborated on the interior design.